This winter’s scene in Central Park, New York features the iconic Gapstow Bridge situated on the northeast end of the Pond. 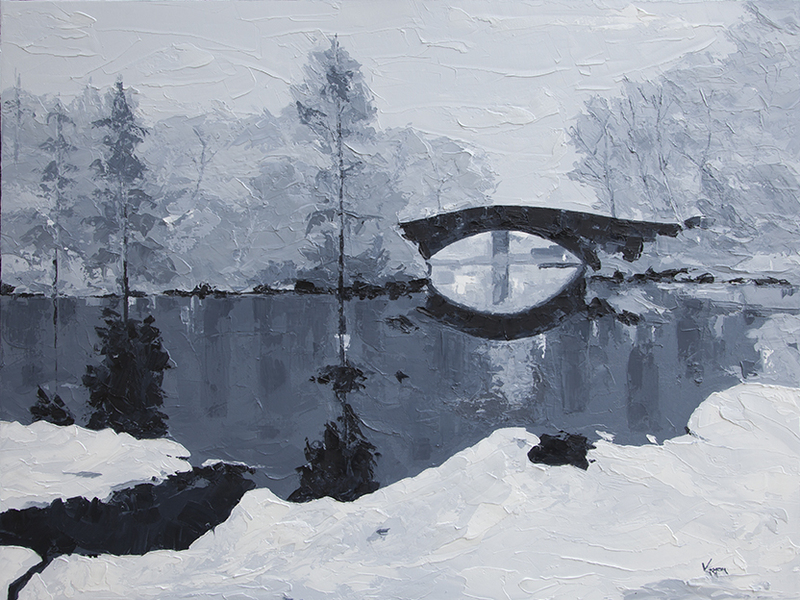 Dusted with snow in winter, the Gapstow Bridge offers a moment of tranquil beauty and this painting reflects the ambience of the place in a perfect setting. Bearing a striking resemblance to the Ponte di San Francesco in San Remo, Italy, the bridge span curves gracefully over the narrow neck of the Pond and provides a focal point to the painting.